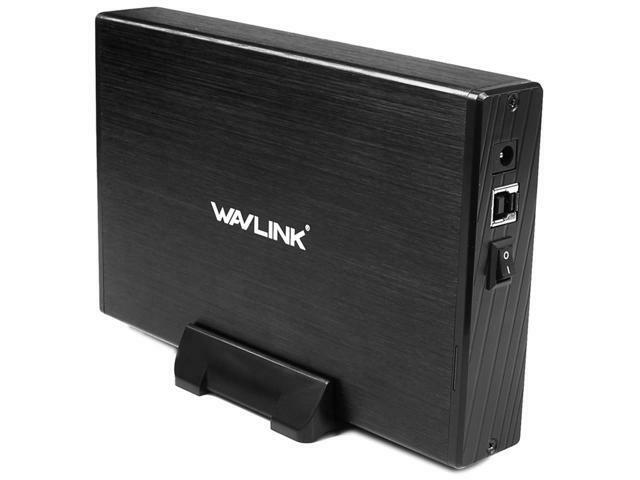 With the latest USB3.0 technology, the Enclosure offers transfer rates speed of up to 5Gbps, 10 times faster than USB 2.0. Portable and durable aluminum with bracket design can ensure heat dissipation and stability. Large screws make an easy assemble. 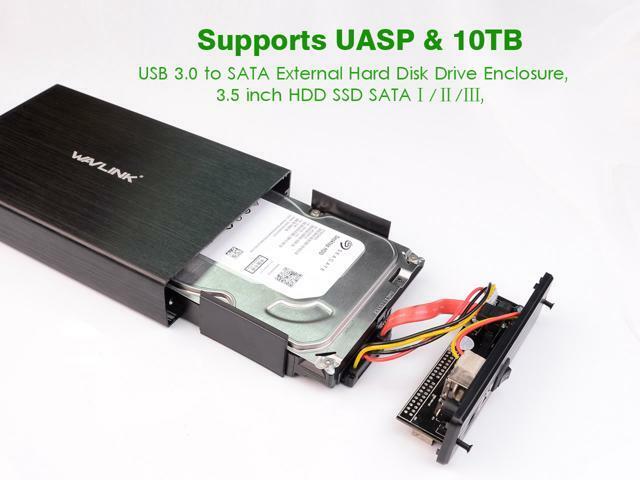 It is a perfect solution for data transfer or data backup. And we had provided a Bracket to you. it will be convenient for you ! 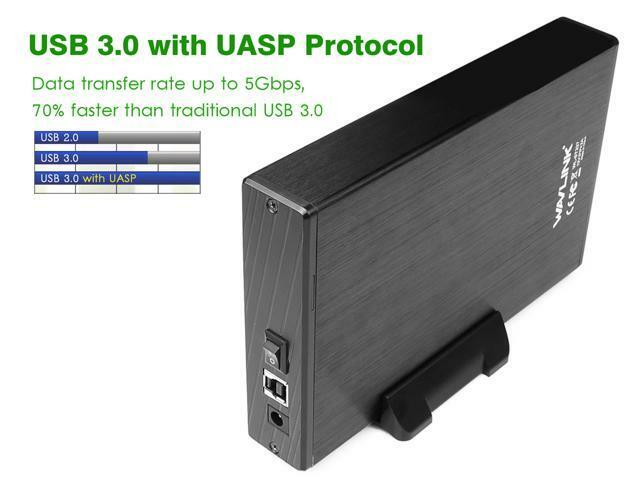 • Super Speed USB 3.0 with UASP Protocol: Data transfer rate up to 5Gbps, 70% faster than traditional USB 3.0. Backward compatible with USB 2.0/1.1. • Durable & Stable Design: Featuring with exquisite craftsmanship, light portability and heat dissipation, the aluminum enclosure has a bracket to strengthen the stability. • Easy to Use: Plug & play, hot swap. No software or additional drivers are needed. The LED indicates power and activity status. • Broad Compatibility: Windows 2000/XP/7/8/10, Mac OS X 10.6 or later. USB 3.0 data transfer speed up to 5Gbps, up to 70% faster than conventional USB 3.0(BOT). Transfer 1G files only within 10 seconds! 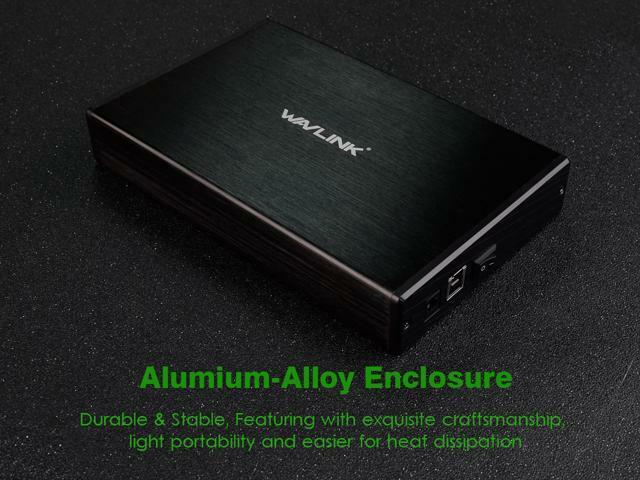 With aluminum alloy material, the Enclosure make sure heat dissipation and protecting your drive from overheating. The plastic bracket provides you with more stability, which also adds fashionable factor to your desk. The large screws make your Enclosure hold your hard drive in place, keeping it firmly and securely stored. 12V/2A power adapter provides stable power supply. If you need to disconnect, a power button will protect your data when not in use rather than unplugging the power cable. 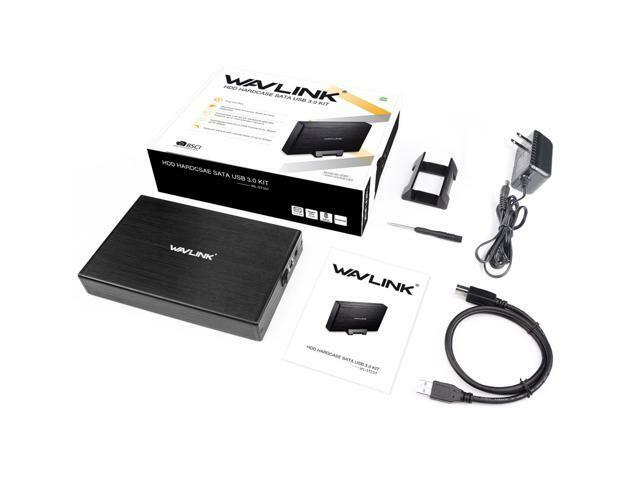 Without the need of installing any software and driver, you can take it anywhere you go. -The method of formatting your disk will produce a single partition in the largest disk capacity, which is also highly recommended. -For Windows 2000/XP/VISTA/7/8/10, the default choice is NIFS. However, you can also choose to format the drive with FAT32 ONLY if the disk size is less than or equal to 32G." 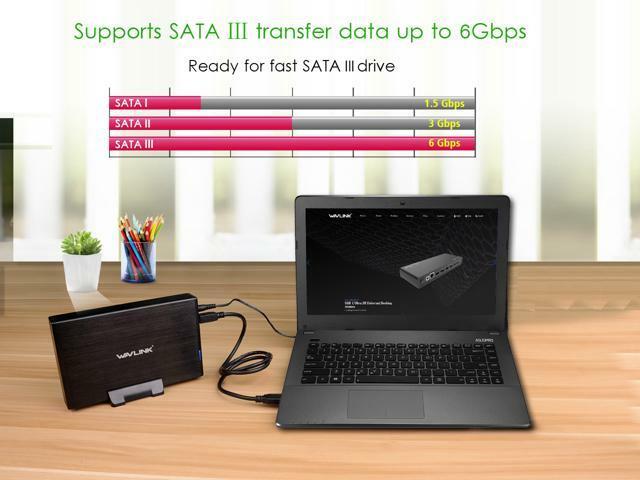 Features • Super Speed USB 3.0 with UASP Protocol: Data transfer rate up to 5Gbps, 70% faster than traditional USB 3.0. Backward compatible with USB 2.0/1.1. • Durable & Stable Design: Featuring with exquisite craftsmanship, light portability and heat dissipation, the aluminum enclosure has a bracket to strengthen the stability. • Easy to Use: Plug & play, hot swap. No software or additional drivers are needed. The LED indicates power and activity status. 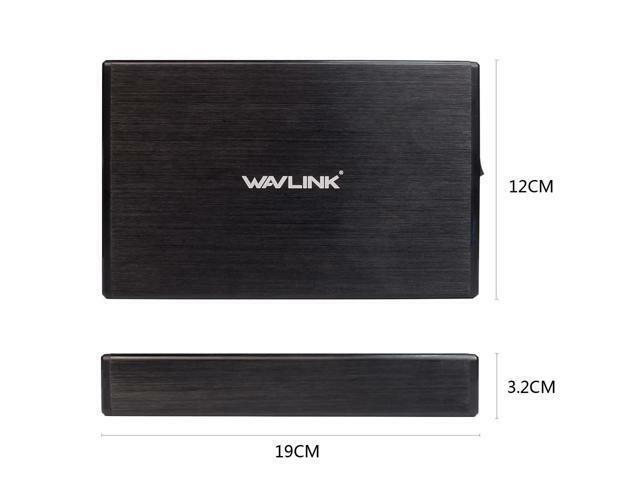 • 12V/2A Power Adapter: Provides stable power supply. Supports SATA ? transfer data up to 6Gbps • Broad Compatibility: Windows 2000/XP/7/8/10, Mac OS X 10.6 or later.